The Simmental breed was introduced to Australia in 1972 and breeders have drawn on the enormous worldwide pool of Simmental genetics. Since it originated in Switzerland the breed quickly developed in Europe before spreading through Russia, North and South America, to Africa and Australasia. In fact it is the most numerous Bos Taurus breed in the world. 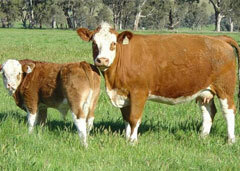 The Simmental breed has established itself as a widely used and proven means of boosting herd production in all climatic zones of Australia. Simmentals contribute to Australian commercial herds through their fast growth rate, high fertility and high yield of quality beef. Female Simmentals make wonderful mothers, with their inherent high milking ability and docile temperament. A major role for the Simmental breed is its use in crossbreeding programs. Crossbreeding with Simmental produces significant productivity gains due to hybrid vigour and to the additive traits derived from the Simmental breed. When combined, these gains generally boost overall productivity by 10% to 20% in the Simbeef F1 (first cross) animal and by 20% to 25% where the Simbeef F1 female is used as a breeder. Right now, Simmentals are increasing in popularity in the Australian industry as well as the major beef producing nations worldwide as astute cattle breeders recognise the improvements in the breed during the past decade. Studs have concentrated on selecting for moderate rather than late maturing types. TodayÃ¢â‚¬â„¢s Simmental produces earlier finishing calves with all the weight for age, muscling and carcase yield attributes the breed has been favoured for over many years. 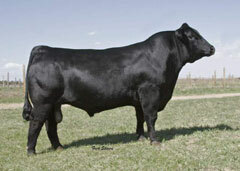 In recent years, new breed registers have been established for SimAngus, Simbrah and Red and Black Simmentals. Simbrahs are the ideal choice to crossbreed with Brahman and other Bos Indicus infused herds. They boost productivity while retaining the adaptability traits. Using Simbrah, progeny can be turned off up to one year earlier and at heavier weights. This generates increased cash flow while reducing stocking pressure. In the more temperate areas Black Simmentals are becoming very popular in crossbreeding programs where their black coat colour and polling attributes are sought. These include crosses with black or grey cattle to boost weight for age gain and carcase yield with the bonus of extra milking ability, fertility and quiet temperament. At the cutting edge of the market, the Meat Standards Australia (MSA) favour Simmentals and their crosses, know as Simbeef, due to their outstanding early growth, a prerequisite for good eating quality. In recent research, the Simmental breed has also been found to have a higher than average incidence of a key gene that influences marbling levels. 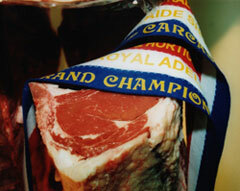 This is of keen interest to crossbreeders targeting markets requiring good carcase marbling. 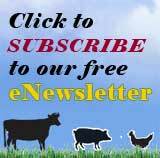 Feel free to contact the Australian Simmental Breeders Association to locate a Simmental breeder in your area.